In a large bowl, whisk together the first seven dry ingredients, flour through sugar. In another small bowl whisk together the melted and cooled butter, vanilla, egg yolks, and apple cider. Make a well in the center of dry ingredients and pour in. Mix gently. In a separate small bowl whisk the two egg whites for about a minute or two with a fork. 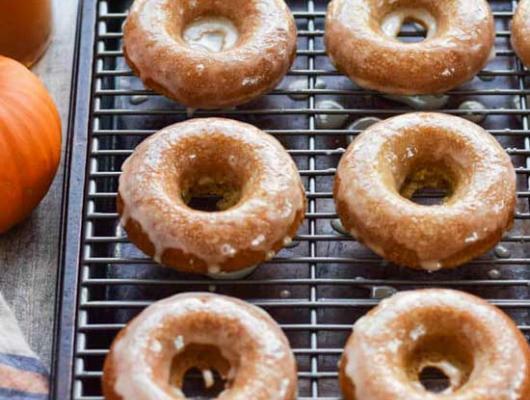 You are just trying to get them a bit thicker so they add some fluffiness to the doughnuts. Add egg whites to mixture and stir just until mixed. Transfer mixture to a Ziploc bag and cut the corner tip off. This makes it easy to pipe into the donut pan. Fill each well ½ full without covering the middle section. If you do, your doughnuts won't have a hole. For the icing simply mix the powdered sugar and the maple syrup. Add milk a little bit at a time to get the desired consistency. More milk will make icing runny so don't add too much at one time. Dip doughnuts in icing and place on a rack to drip dry. Top with sprinkles before the icing sets. 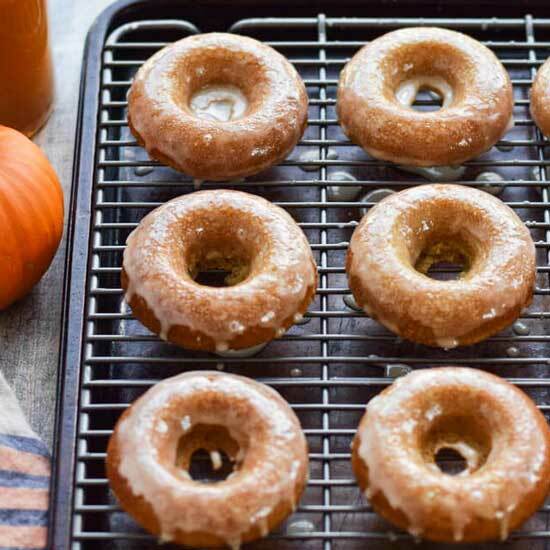 If you are using a donut pan, preheat oven to 350° and bake for 8-10 minutes.